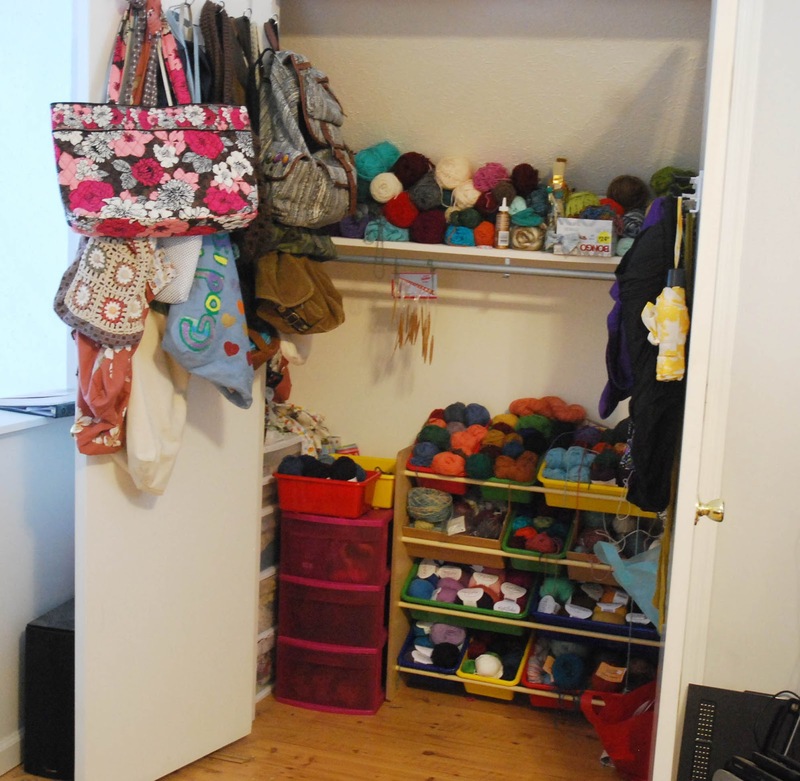 Last month Melmaria posted about her creative space, and that made me want to do a post about my space as well! Her space is very well organized and very cute. Mine is definitely not as cute, but it works for me and makes me happy. I'm also sharing a space with my husband and hopefully that should change (he is almost done with the backyard shed where he wants to set up his own space...because we both have different ideas of feng shui. When you first walk up into the loft you find Minecraft Husband! Minecraft husband does not like to be bothered and must be placated with treats and tea. He also likes the light off. On the other side of Minecraft Husband are my clothes. The closet in our bedroom is super tiny, and just holds my husband's clothes right now. 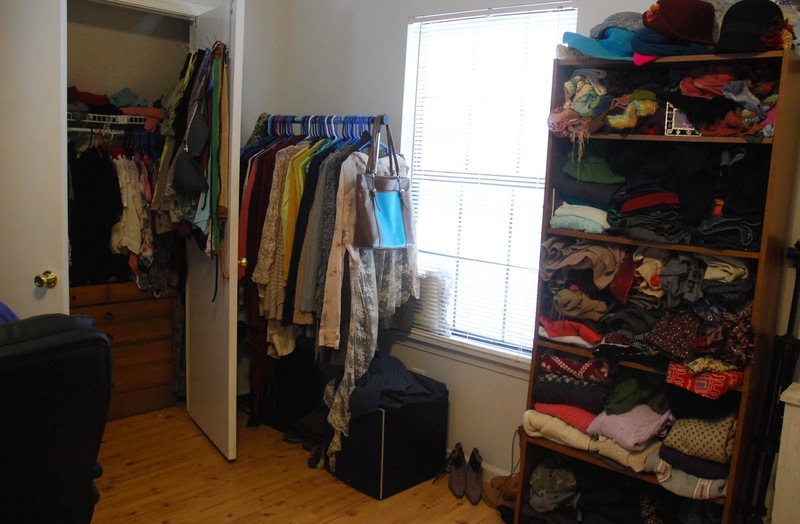 I have my stuff upstairs, and I love having the room to spread out! 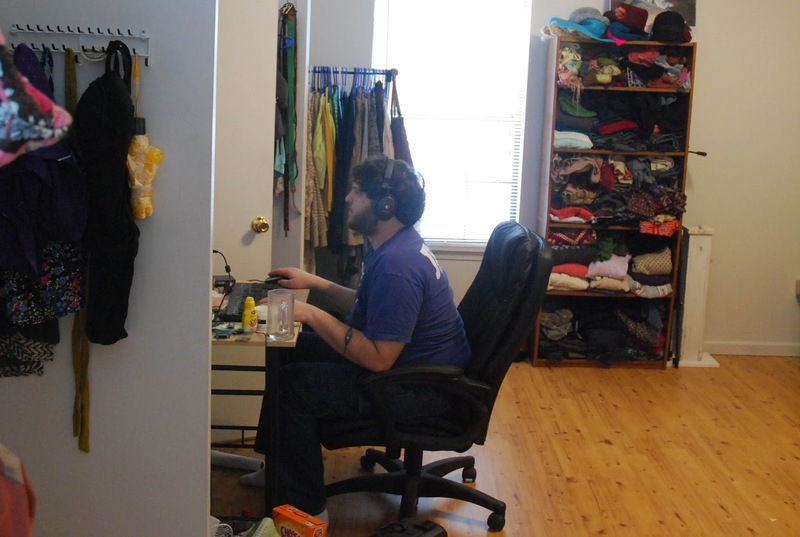 Right behind Mindcraft Husband is basically the rest of the room. There are two big recliner chairs (one will go with husband to his space, one will stay with me) a second computer where I edit videos since my Macintosh is circa 2008 and can't even read my video files...and my sewing and knitting space. 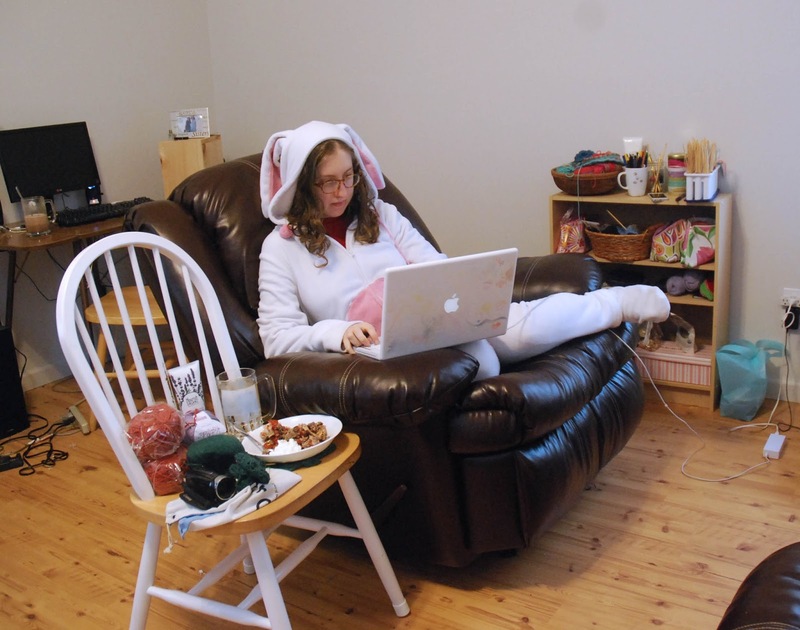 You can usually find me here, keeping warm, enjoying food, blogging and knitting away. I have dreams for renovating this space, and a lot of ideas, but with a baby on the way I don't know how much time I will have. And it's not a priority right now. I do, however, want to hang up some posters (I bought some totoro ones off amazon!) and perhaps an inspiration board or two. I know that a portion of this space will be my kids playroom, and I'm going to put a bassinet up here so when I shower and when baby naps, I can knit. What does your space look like? Please leave me some links, I'd love to see!